A blog by yours truly. Nuff said. Welcome back! This is Marvel's Corner! Today we take a look at DC's newest comic book event. Yes, another one. Did anyone know "Blackest Night" ended? Who won? Anyways, it's Superman time! Today's Topic: The 100 Minutes War! Alright, cool, a whole planet full of kryptonians. I can run with that. Where's DC going with this? They're going to attack the Earth! Yes, a planet of Supermen is showing up to attack the Earth. How this is going to last more than five minutes is beyond me. It's The 100 Minute War?! Note: I'm assuming 95 minutes will be spent mourning the slaughtered. Seriously, who's fighting in this?! Scheduled to be a month long series, with four issues (each taking 25 minutes), the comic will come out May. Now, I'm not saying I'll buy this, but I must admit this looks a lot better than Marvel's event. 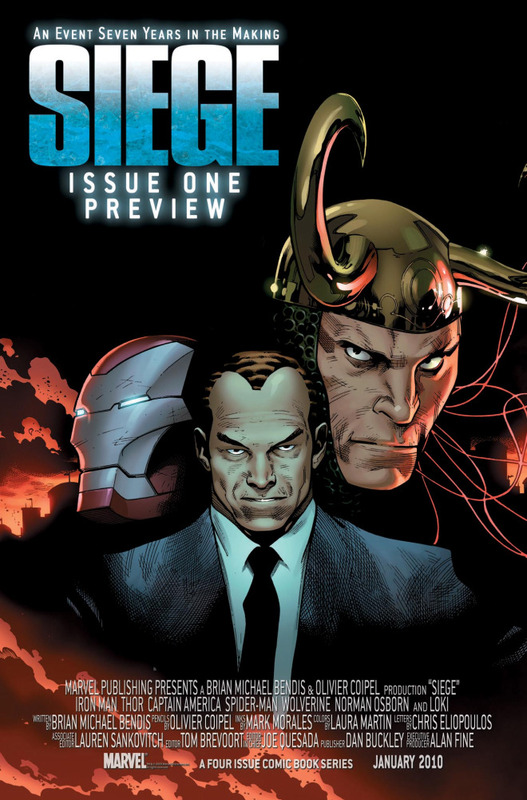 This event, "Siege" looks like another Bendis take on the Avengers. Will this end in another reboot? Doesn't that make you want to... I don't know... Ask why they went with that font? Anyways, DC's War will probably shed more blood. Earth has no hope. I've seen them handle a rogue kryptonian, so an army of kryptonians is way over them. ... Wait... What am I saying?! Earth has Kryptonite Man! Game, Set, & Match! Earth ftw. Anyways, until later, this is Marvel Man signing off. How to start an Electric Ferret Blog, today!